Payment options : credit cards. Customer support : phone number, email address, contact form. 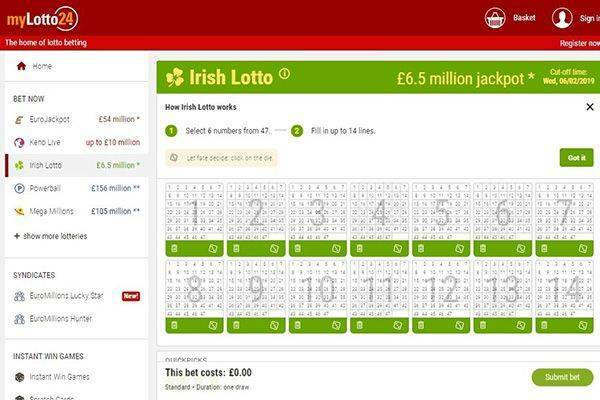 MyLotto24 is one site that is part of a network of geographical focused lottery websites. 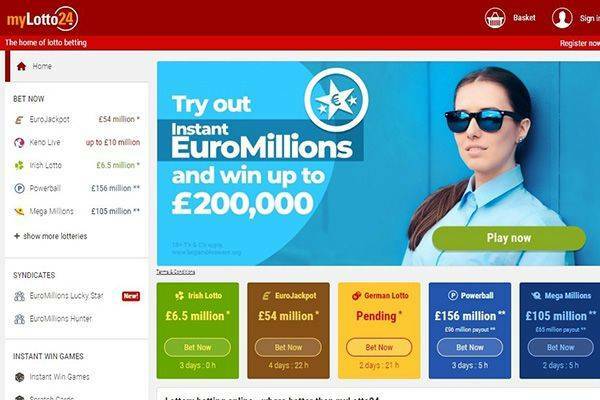 It aims to deliver an online lottery experience across different screen sizes and platform by delivering a good user interface and a wide selection of leading lotteries from different countries. I covered the platform completely when I reviewed other websites using it. It is solid and well thought of in terms of lottery selection and game features. There’s syndicate for those looking to max their odds for winning, and tailored features I love – jackpot hunter, subscription, auto number generator and more. The platform offers good web view support – the website is fully compatible with different screen sizes. And for lottery players who want an experience that is a little more polished, there are mobile apps for iOS and Android users. 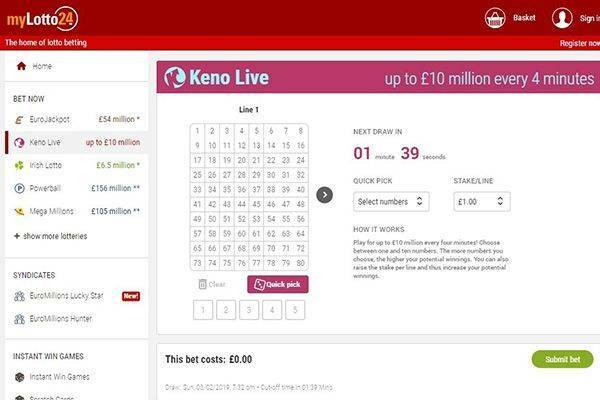 Such platform support is pretty rare, and I would have liked to see more platforms and brands focusing on designing a lottery experience that matches the intent by platform and screen size. The biggest weakness of the brand… no bonuses or promotions at all. I just couldn’t find any. No discount on subscription purchases or long duration single bets. MyLotto24 accepts the main credit and debit cards – Visa and Master Card. No e-payment options available at all. When the competition is racing to embed as many payment options as possible, finding just two credit cards, mainstream as they may be, is disappointing. One of the strong points, and a review aspect I rate high, of MyLotto 24. While there’s no FAQ page, there are many other that contain valuable information. 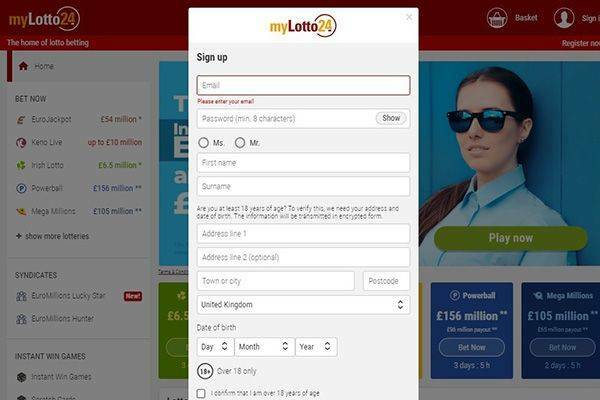 When players and visitors to the site look to reach a customer support representative of MyLotto24, there are these options: Contact form with a field for stating when you’d like CS to call you, phone number, direct email address. Working hours are clearly stated and this is something so very few brands make the effort of communicating. 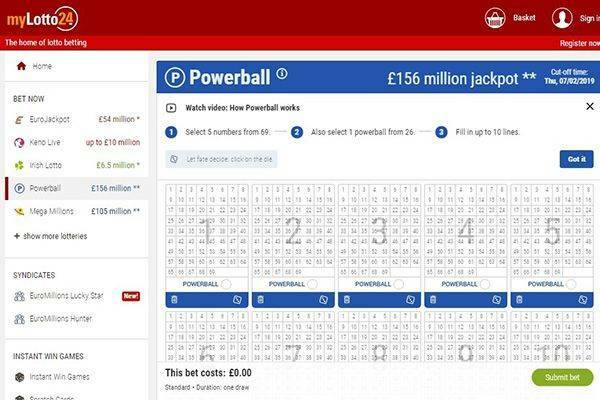 Is MyLotto24 legit or fraud? Completely legit. There are no signs of fraud or scam, not with My Lotto 24 and not with other brands of the network. It is the UK branch of a network I think handles the competition pretty well and manages to keep a clear record when it comes to its players commenting on review sites. Considering the platform support and game features, I think this is a website worth playing at. I would have liked to see some attractive promotions, but this is not a deal breaker to me as I value trust signals and gaming experience a little more than value for money. Just a little. Benefits a solid reputation of many other sites that make the network. Has an exceptional mobile support – both on mobile web view and mobile application for iOS and Android. 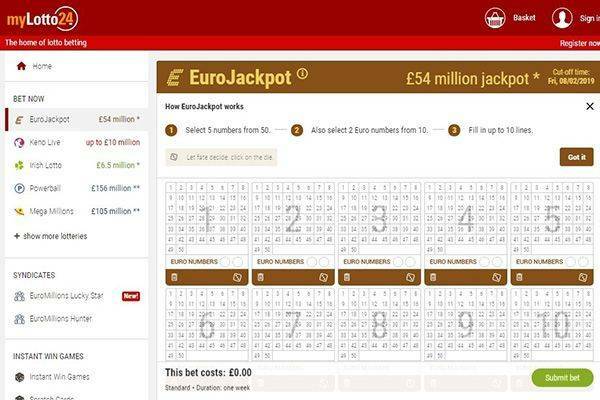 Alongside to the lottery products there are side games such as scratchcards and instant win .